With the Nintendo’s AAA library in a slump, and it’s indie game market in a boom period, I’m certain there are many Switch owners out there thumbing through the eShop catalog. For those people, I offer a warning: If like me, you’re the type of gamer who gets stuck in obsessive completion loops, unable to resist the idea that success is just one more attempt away, then I suggest you stay as far away from Clustertruck as humanly possible. So what is Clustertruck, exactly? Originally released on the PC in, this first-person puzzle platformer tasks you with moving from one end of a corridor-esque level to the other by bounding between the roofs of box trucks that are speeding away from, towards, and in unison with each other. It seems like a simple (though utterly bananas) concept, but it’s also a lot easier said than done; each of the game’s 100 or so increasingly challenging levels throws new twists at you that are somehow simultaneously delightful and rage-inducing. For me that rage was almost entirely self-directed, which is as much of an indictment of my skills as a gamer as it is a testament to the precision the game’s controls afford you. Developer Landfall Games has some experience adapting what was originally a PC game to console controls on the PS4 and Xbox One, and they’ve done an equally admirable job on the Switch. The B button jumps, ZR sprints, and the left and right analog sticks control movement and the camera, respectively. While the controls may feel loose and floaty during your first few runs, you’ll quickly learn just how exact they’ll allow you to be. And trust me, you’re going to need to be exact. Because Clustertruck isn’t just about getting from point A to point B, but doing so with style to rack up the most points you can per level. These points aren’t just for bragging rights, either; they can be used to purchase upgrades that let you double jump, freeze trucks in place, or spawn a truck ahead of you. These will come in handy in the latter half of the game as it throws crazy obstacles like flamethrowers, lasers, ghosts, ice fields, and flying hammers at you. While its gameplay is complex, it’s audio and visuals are very simple. Which isn’t to say that the game is dull; each of the game’s nine worlds is themed, either by weather – like snow-and-ice-covered roads – or by season – like Halloween and Christmas – and the flat-textured, low-poly environments are dressed up to reflect them. While the environmental trimmings are fun to look at, you’ll spend most of the game looking ahead of you at the white unmarked trucks speeding you to the finish line. The game’s music is just as simple, but far less memorable – which is actually probably a blessing, given how often you’ll end up repeating the same level over and over. 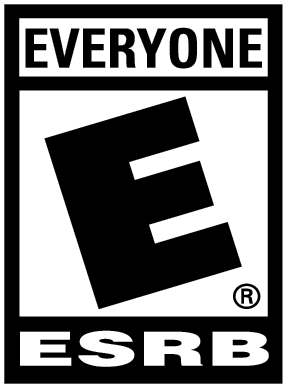 It should be noted that the console versions of Clustertruck do lack two key additions only available on the PC: a level editor, and leaderboards. Between the two, the exclusion of the latter seems like a much bigger oversight. While a level editor is a cool idea, those tend to only be used by a small subset of a game’s audience. A leaderboard, however, evokes spirited competition among friends for bragging rights and makes perfect sense for a game like this. 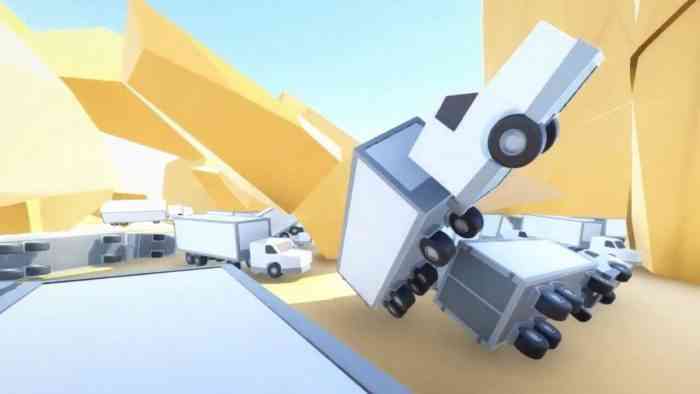 Few games have been as effective as Clustertruck at making me want “just one more try”. It’s bizarre, wacky, skill intensive, tough as hell, and you could end up needing a new controller or two before you’re through. While the lack of leaderboards is a huge oversight, each level is a bite-sized treat bursting with highly-addictive flavor, making it a perfect addition to the Switch library.